As clean-cut and versatile architectural elements, cavity sliding doors are both highly attractive and practical. Whenever they are needed, you can slide them quickly and effortlessly into place. Whether you have an automatic or manually operated sliding door system, these doors are virtually effortless to move quickly and efficiently open and closed. When you wish to have privacy in one area or room in your home, simply slide your doors completely closed. At other times, you can easily adjust your movable doors to a fully or partially open position, as needed. You and your building or renovating team can select sleek aluminium or beautifully grained natural timbre doors, according to your preferences and needs. • No Lost Room Space. – Classic Japanese home design uses every available space in a room to optimal advantage. Sections of walls may fold out to form beds, desks, cabinets and other items of interior design and decor. Furnishings like chairs, benches, tables or futons may be moved around the room as needed to best accommodate the space and the activity these items are being used for. For this reason, it is not practical to install hinged doors in this type of room since each door can create as much as 8 percent of dead, or unusable, space when opened. Hinged doors will also block sections of walls that need to pull out or fold down to reveal or form necessary items of furniture and accessories. When you install cavity sliding door systems in rooms of this type, there is no lost space since these doors slide seamlessly into their wall cavities when opened and conveniently back to the closed position when desired. • Compatible with Classic Japanese Design. – These sleek, slim-lined cavity sliding doors are closely aligned with the classic streamlined elegance of Japanese structural design for home interiors. Without detracting from the overall elegance of the simple, stylish designs and balanced dimensions of your rooms, these modern doors will add both beauty and practicality to the design and your enjoyment of your rooms. 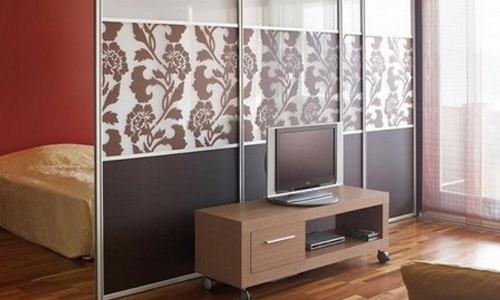 • Ideal for Use as Sliding-Wall Room Dividers. – Because many Japanese style homes have rooms that are designed for multiple purposes, such as combination bedrooms and reading or study areas or dens, it is both sensible and fashionable to install cavity sliding doors as versatile room dividing partitions. Similar to the manner in which classic Japanese folding screens can separate areas of a room, these attractive sliding doors can enable all members of a household to enjoy using one room for multiple purposes. When you contact the cavity sliding door systems experts at Premium Sliding Doors in Moorebank, NSW, you will benefit from excellent information, advice, sliding door selections and full installation services for new doors in your Japanese style home. Our team of highly experienced professionals will guide you to making the best possible selection of sliding door types and styles to best complement your overall room designs, enhancing each room with high degrees of fashion and functionality.